They provide us with the best fibre known to humankind, so of course knitters love sheep! Declare that love with this stylish pullover, designed for everyday wear in cool climes. With a cleverly scooped circular yoke, and princess line shaping, Tups will flatter all curves and none. It will definitely suit ewe! 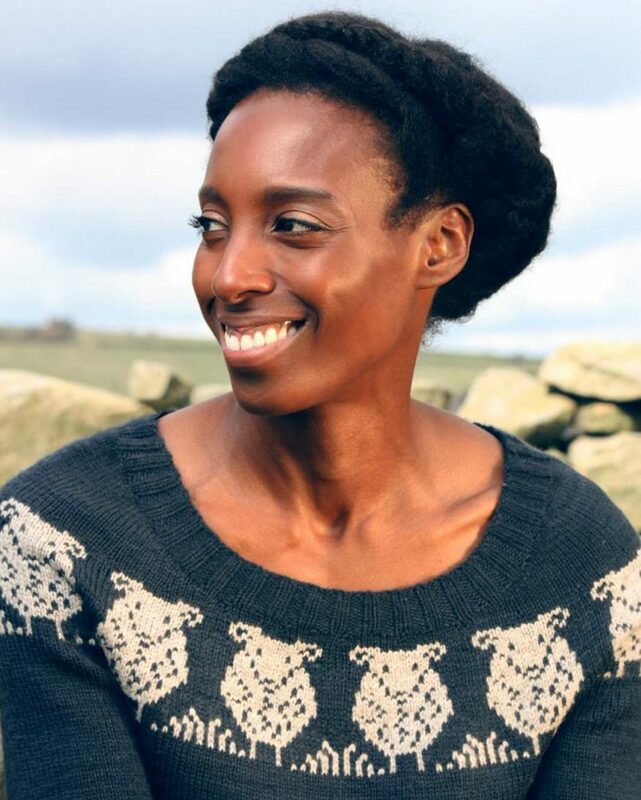 Tups was knitted with Blacker Swan 4ply, a beautifully soft British wool yarn. Although labelled as 4ply, it is more truly a sportweight, producing a lovely fabric at sportweight gauges. If substituting other brands, we recommend that you choose a sportweight yarn. To fit 32(34:36:38:40:42:44:46:48:50:52: 54:56:58)” chests. The finished chest measurements include 2–5cm/1–2″ of positive ease (see diagram on page 9). To create a closer-fitting neckline than the one shown, please see page 8. 2 colours of heavy 4ply/light DK/ sportweight yarn with approximately 348 metres/380 yards per 100g. You will need 8(8:8:9:9:10:10:11:11:11:12:12:13:13) 50g balls of MC and 1(1:1:1:1:1:1:1:1:1:1:1:2:2) 50g balls of CC. The pictured sample was knitted with Blacker ‘Swan 4ply’ in Storm Cloud (MC) and Stone (CC). 3.5mm/US 4 needles for small diameter (sleeves) and large diameter (body) circular knitting. Adjust needle size as necessary to achieve correct tension. 3.5mm/US E crochet hook for a provisional cast-on. 25 sts and 36 rounds per 10cm/4″ in stocking stitch after blocking. 29 sts and 36 rounds per 10cm/4″ in stranded pattern after blocking. Tups is part of the ‘Tup Knits’ book collection. 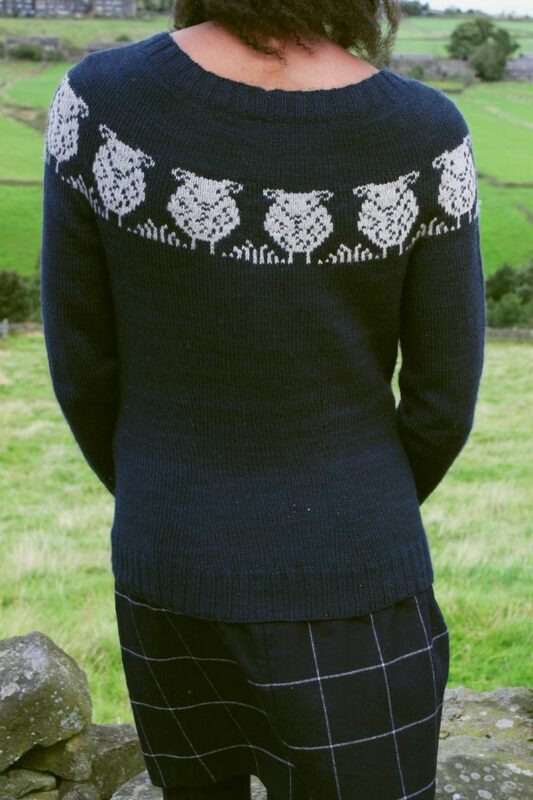 See the Tup Knits page for details of the book. This is stunning! I must knit one for me!